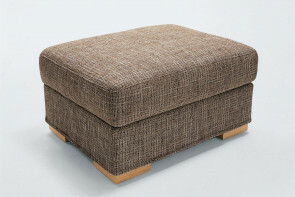 Dennis is a modern hassock with casters, also available in a fixed version, with cover in leather, eco-leather or fabric. Ideal as extra seat for your guests. 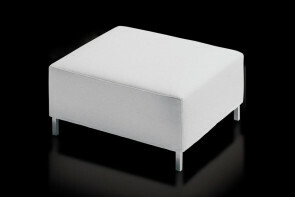 Duke is a modern rectangular ottoman with wooden feet and fabric, leather or eco-leather cover in several colours. 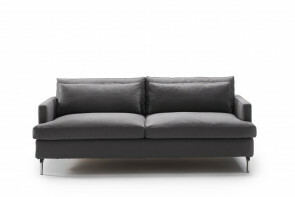 It is perfect for all kinds of sitting room. 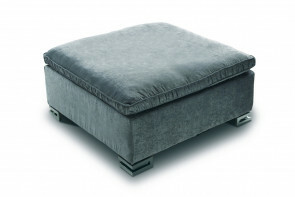 Melvin is a made in Italy coloured ottoman with removable cover in a wide range of colours. 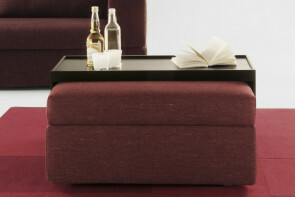 Available as hassock, extra seat, temporary supporting surface. 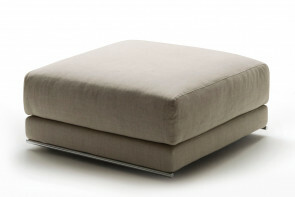 Joe by Milano Bedding is a modern down filled ottoman with polyurethane inserts covered in fabric, leather, eco-leather. Accessories: box, tray, coffee table. 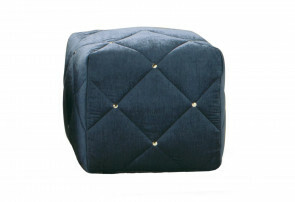 Douglas made in Italy button tufted square ottoman, with removable cover in fabric, leather or eco-leather. With smooth cover, nickel-plated or burnished buttons. 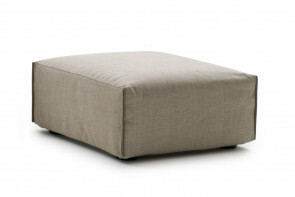 Parker is a modern square fabric ottoman with removable cover, also available in leather and eco-leather, with matching or contrasting piping. In two measurements.